Have not blogged for a week, having been in Dublin and busy seeing family and friends there, plus being very busy at work on my return. However, like everyone else I have been following events in Libya closely since the weekend. As the Green Party's representative on Stop the War Coalition, I stand by the statement which the Coalition released on Libya a few days ago. I also totally agree with the excellent Seamus Milne's article in the Guardian yesterday re the significance of the NATO involvement in Libya. 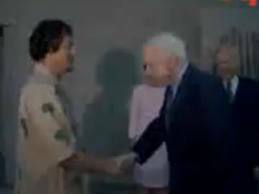 And today comes some fascinating news from the ever reliable Wikileaks around the shenanigans of the warmongering Senator Mc Cain and his links with the Libyan regime. I am sure that the spooks from CIA and MI5 will be busily shredding any incriminating documents found in the Gaddafi compounds.